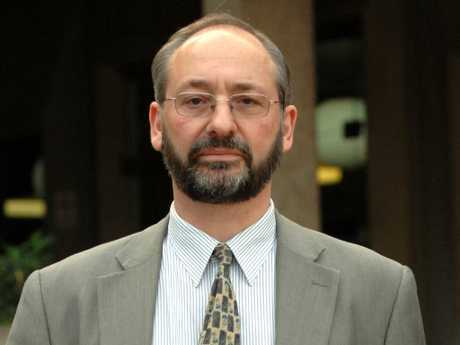 Dr David Ranson review of the pathologist’s report into Jeffrey Brooks’ death has raised more questions. 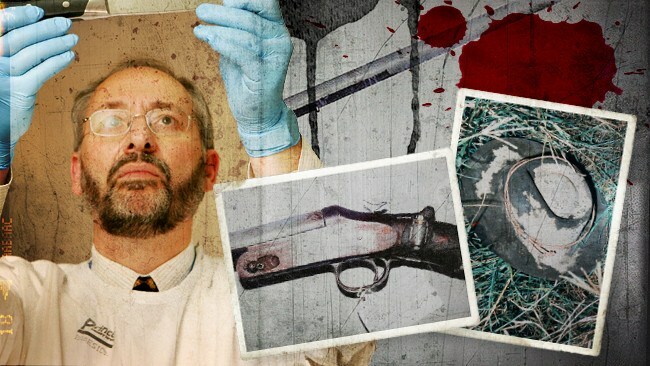 A PROMINENT forensic pathologist has raised more serious questions about the "accidental'' gunshot death of young scientist Jeffrey Brooks. The internationally-renowned expert believes Jeffrey would have died rapidly, most likely too overcome by his injuries to achieve the scenario of movements suggested by police in their report. His advice also indicates that if the 24-year-old was shot at a range of 50cm, as police believe, there should have been evidence of burn marks, soot and tattooing, which there wasn't. 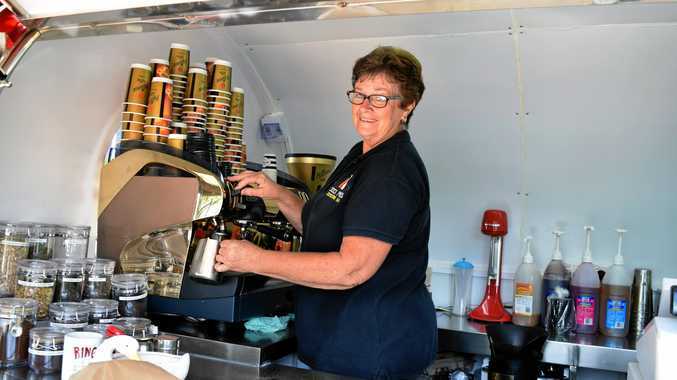 This follows revelations by private investigators commissioned by WorkCover, who found the death was not an accident and documented a series of what they said were basic police errors in the case. As revealed in The Courier-Mail's true crime podcast, Dead Wrong, Jeffrey died in mysterious circumstances at the Beenleigh Crayfish Farm in 1996. The latest episode of the podcast, Hidden Truths, is available now. What happened to Jeffrey Brooks? : Baffling death of young scientist. Police said the shooting death was an accident, caused as he pulled an old shotgun out of a farm ute - by the barrel - to shoot at birds. 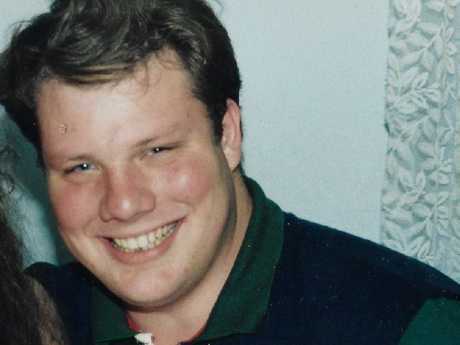 However, Jeffrey's parents, friends, bosses and private investigators believe he was murdered and want the case re-opened. For an independent analysis, The Courier-Mail approached Dr David Ranson, Deputy Director of the Victorian Institute of Forensic Medicine and an Adjunct Clinical Associate Professor in the Department of Forensic Medicine at Monash University. Dr Ranson has provided expert medical testimony in a number of Commonwealth Senate inquiries in Australia, helped identify Ned Kelly's body and was part of an international team investigating the MH17 crash. Jeffrey Brooks died in 1996 of a gunshot wound. He reviewed the pathologist's report into Jeffrey's death and said the young scientist's injuries were "very considerable'', involving some of the major arteries in the body. "So, with the finding of a litre or so of blood in the chest, holes in the lung, holes in those arteries in the pulmonary region of the lung and also holes and damage to the vessels running to the shoulder and the armpit region, these areas would have bled very, very considerably and fairly rapidly because they are arterial bleeding as well as venous bleeding,'' Dr Ranson said. 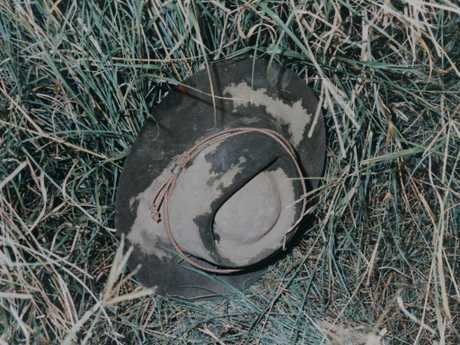 The scene information examined by Dr Ranson showed Jeffrey's hat and a puddle of blood 11m from where his body was found slumped in the farm ute. The area involved steep slopes, which would have added to the difficulty for a stricken person trying to move around. He also is perplexed by the location of the hat 11m away. "I can't see a simple explanation for how the hat got there,'' Dr Ranson said. He was able to provide clarity on the size of the wound on Jeffrey's shoulder, a size that was reduced from 3cm to 2cm in diameter when Jeffrey's parents met with investigators at the Criminal Justice Commission after they complained about the police investigation. One of the officers told his parents that the pathologist who did Jeffrey's autopsy only made a rough estimate and as skin "stretches'', the wound size noted was misleading. Dr Ranson said the pathologist, Dr Charles Naylor, would have positioned the body appropriately and measured the wound as accurately as possible. If he said it was 3cm then it was 3cm - not 2cm. In fact, Dr Ranson said the wound in Jeffrey's chest initially could have been bigger because skin, due to its elasticity, snaps back after being penetrated. A source of frustration for Dr Ranson in his review of the material was the lack of photographs of the wound. Jeffrey's parents and a private investigation team were told some were missing from police evidence and The Courier-Mail was told they were not contained in the brief of evidence held by the Office of the State Coroner. Another key issue examined by Dr Ranson was how far Jeffrey was from the gun when it discharged. He explained that as part of the process, a mixture of things came out of guns, including the bullet or shot, smoke from the burning powder, flame from the burning powder and the powder itself. When the grains contact the skin, they almost burn into it, causing what is referred to as "tattooing''. It is called this because you can't wipe it away. Dr Ranson's expert view is that if Jeffrey was shot at a range of 50cm, as police believe, there should have been evidence of burn marks, soot and tattooing, which there wasn't. Tattooing is usually evident up to 1m and there was no sign of it on Jeffrey's body. A shot from 1m or more would have been well outside his maximum reach of 65cm.